Updates to Mary Pat's profile since your last visit are highlighted in yellow. I moved to Chicago (Evanston) in 2004 after an 18 year stint in Boston. Married Mark McKeown in 2009 and became a stepmother to a sweet girl. Kathy Finn and I get together regularly - including a few rounds of golf. Nice to have a fellow class mate nearby! Mary Pat O'Meara McKeown has a birthday today. 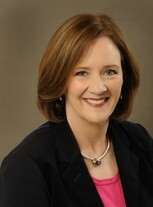 Mary Pat O'Meara McKeown updated profile. View.